E. C. Hurley, PhD, has trained mental health professionals world-wide from military bases and agencies throughout the U.S., to mental health providers in Europe, South Korea, and Turkey. His trainings are approved for continuing education by the National Board of Certified Counselors (NBCC) and the EMDR International Association (EMDRIA). 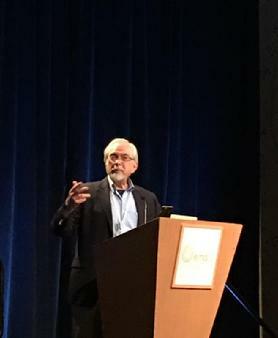 He is an Approved Supervisor with the American Association for Marriage and Family Theapy (AAMFT) and an Approved Consultant and Instructor with the EMDR professional organization (EMDRIA). 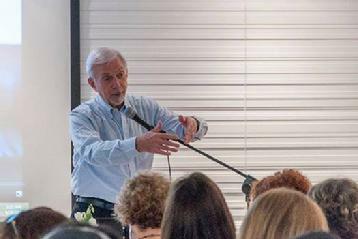 Board Certified Expert in Traumatic Stress (BCETS), he is a Diplomate with the American Academy of Experts in Traumatic Stress. He served as a supervisor with the International Institute for Trauma and Addiction (IITAP) for several years. 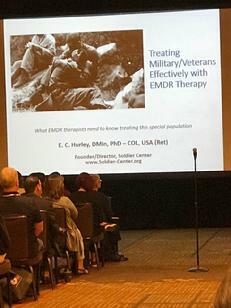 Dr. Hurley is an EMDR Institute Approved Regional Trainer and an EMDR trainer for military and veteran organizations. He founded The Marriage and Family Institute in Clarksville in 1993 and later, in response to the need for effective treatment of posttraumatic stress disorder following 9-11, he established Soldier Center as an agency of The Marriage and Family Institute. As the director of these agencies he oversees the operation of ten (10) additional therapists while specializing in the treatment of complex trauma among adult survivors of childhood sexual abuse, military sexual trauma, and complex trauma. Dr. Hurley is the receipent of the Elizabeth Stryker Volunter of the Year Award from EMDR Hunaminatian Assistance Program (2010). He served as a senior trainer for EMDR HAP for several years. More recently he was the EMDR Institute trainer to the U.S. Army Medical Command (AMEDD) for four years culminating in his training of Army in-house EMDR trainers for Army Medical Command. He is an approved EMDR Institute Regional Trainer providing approved regional trainings in Tennessee as well as military and VA sites throughou the United States. Having served for 30 years in the active duty and Army Reserve he was awarded the Meritorous Service Medal (3 Oak Leaf Clusters), the Bronze Star, and the Legion of Merit. E. C. Hurley, PhD, is an EMDR Institute Regional Trainer. He served as the Institute's trainer for the U.S. Army for four years conducting trainings in the U.S., Europe, and Asia. He served as an EMDR Humanitarian Assistance Program Senior Trainer for several years and now is an approved EMDR Institute regional trainer for Tennessee and regions beyond. EMDR Therapy Regional Meetings are held quarterly at Dr. Hurley's office at Soldier Center in Clarksville. Each quarterly meeting is 2-hours duration with various EMDR therapy topics being presented. No fee study group is availabe weekly. Contact Dr Hurley, 931-553-6981 (Soldier Center office) for information. 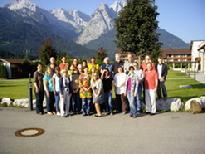 EMDR Therapy regional basic training (Level 1 & 2) is a total 7-day training. Part 1 consists of a 3-day weekend (Friday - Sunday) and two 2-day weekends which covers more advanced topics including dissociation, panic attacks, phobias, assault, somatic disorders, pain, and recent events such as EMDR therapy's treatment of disasters. The training includes 10 hours of group phone consultation included in the cost. Forty (40) CEUs are provided on the completion of the training and consultation.